What is so great about compost? Compost is an incredibly powerful tool in the zero waste tool box. Organic waste is often one of the most challenging waste streams in urban areas, as it’s usually the largest waste stream of household waste and the most problematic in environmental terms. With separation at source and proper treatment through composting however, it can be an amazing opportunity to help create a genuinely circular economy. Composting organic waste can help to reduce greenhouse gas emissions, and avoid hazardous disposal systems such as landfilling and incineration. As a natural soil improver, it replaces the need for chemical-based fertilisers (contributors to climate change), and it has amazing rejuvenating qualities for soil, increasing the capacity of the land to act as a ‘carbon sink’ and reducing the amount of greenhouse gasses in the atmosphere. Across Europe millions of people are involved in composting, both on an individual level and as part of neighbourhood or community schemes. These actions are preventing vast amounts of greenhouse gas emissions, and providing vital nutrients for soils. We want to hear your composting stories, and learn more about the inspirational ways that you and your communities are taking action to reduce organic waste. That is why we have decided to launch a competition to celebrate composting, with some fantastic rewards. Are you part of a fantastic composting project that doesn’t get enough attention? Do you need some added funds to expand your community composting scheme? Or are you just passionate about composting and want to promote your own creative organic waste solution? We want to know about it! 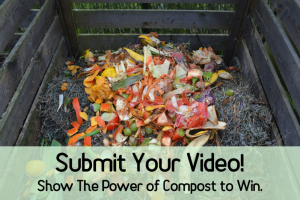 We have 3 huge prizes up for grabs, in our composting video competition, and all you have to do is submit a video or animation showing off your composting project, explaining why composting is so great, or highlighting a creative solution. We are particularly encouraging home-made and amateur video contributions, so remember the content is more important than the camera quality, and get out your smart-phones, and video-cameras and get stuck into a bit of compost. The competition is divided into three categories, with different criteria and prizes, and will be judged by our panel of experts including experts from the European Compost Network (ECN), The Organic Stream, and Zero Waste Europe so if you want to participate, make sure you take a look at the different categories. You don’t have to specify which category your video comes under during the application process, so don’t worry if you aren’t sure, or feel that your video might fit more than one category, as our judges will assess which award the video would be most suited for. In this category we are looking for the best community solution, so if you are part of a neighbourhood composting project or work with other local composters to collect all that food-waste, or just want to talk about community solutions make sure that you send us a video. This category will choose the most creative composting solution, we want to see your innovative and unusual composting efforts, as well as any creative attempts to promote composting of organic waste. 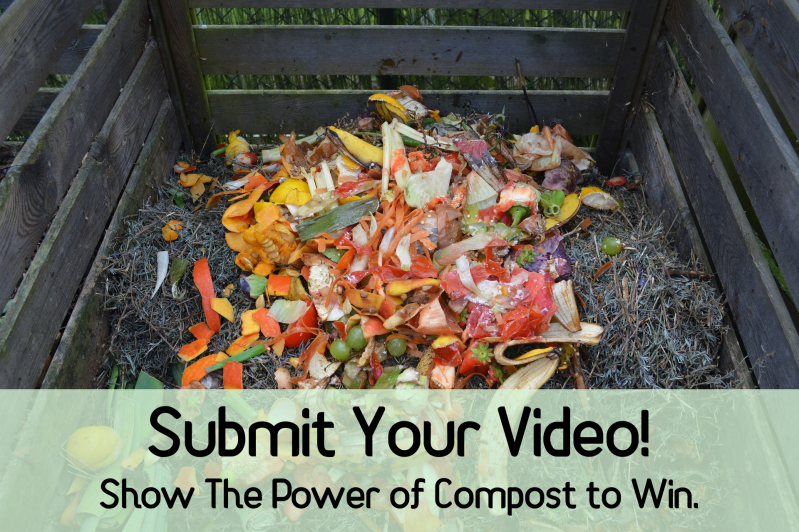 In the final category we are looking for the most effective and inspiring educational video about compost. This could be about the benefits of compost, or how to start your own compost project, or anything else really, so long as it is educational and espouses composting! We know that not everyone out there is a master in creating videos, there may not even be a direct correlation between video-editors and composters at all! But there is no need to worry, as we have put together some simple tips and hints to make sure your video is in with the best chance of winning! There are so many more benefits of compost which we wrote about in depth for International Compost Week. We recommend that you give the article a read over before making your video to help ensure that you cover the kind of advantages of composting we are looking for. Keep your video relatively short and to the point. We would expect videos to be around the 1.5 minute mark, and if videos are longer than 3 minutes we will not be able to include them in our competition. If your computer doesn’t come with any, there are plenty of free video editing and animation software options available, which you should be able to find with a quick internet search. If video isn’t your thing, then you are also free to submit animations or other ‘video’ forms. Be creative, and surprise us! This is the short version of the rules, for the legal stuff have a look at our full rules. All entries must be received by midnight (GMT) on the 1st of November. The judges will be looking for the best projects, ideas and composting solutions, not the most polished, professional videos. The video should reflect the benefits of compost as explained above and the core values of Zero Waste Europe. We are afraid that we will not be able to accept videos which are not either in English, or have English subtitles. All entries must consist of original or previously unreleased content, by entering the competition you give Zero Waste Europe the right to host your video on our Youtube channel, and share it through social media.